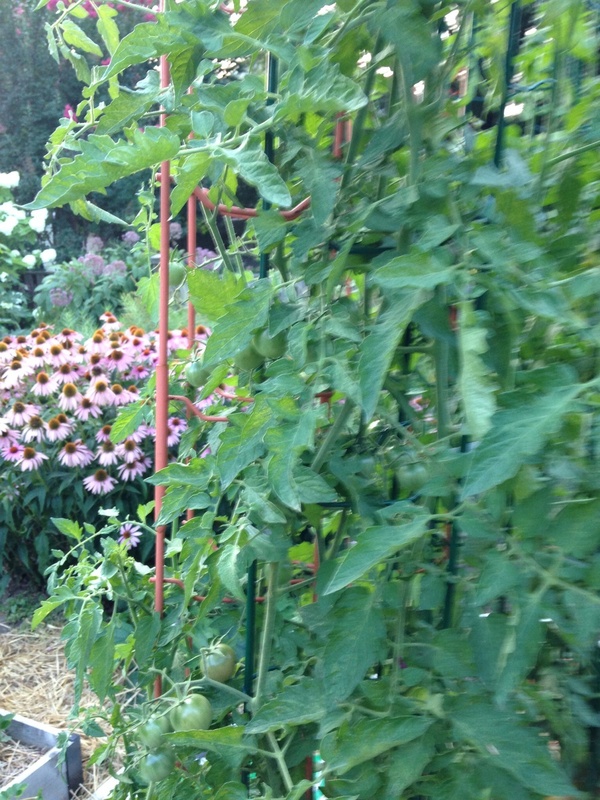 The tomatoes have been slow in coming but are getting steadier everyday. I can't wait to see how these "Virginia sweets" look--yellow with red streaks--and taste. The plants look so healthy but have not been very productive. I can't resist black tomatoes, but with these black prince, cracking and green shoulders are part of the deal. Arkansas traveler is one of the best performers I've grown. The perfect size and not a blemish on them! Pink tomatoes are my second favorite color tomato. More black tomatoes, this time the sweetest black cherries. Picking them before they get all their color is mandatory to keep the catbirds from eating them.